The John G. Watson Foundation was established in 2012 by the Tech Coast Angels (TCA) as a memorial fund in honor of John G. Watson. The fund was initiated by a $1 million gift from the family of John G. Watson, who was an active angel investor with the TCA until his untimely death in 2010. The Foundation utilizes investment earnings from the Watson family to fund activities that promote entrepreneurism in Southern California. 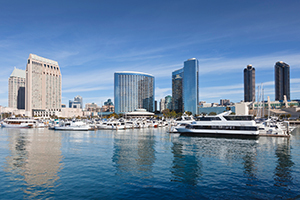 John G. Watson was an active investor committed to innovation and further development of the prevalent entrepreneurial climate within San Diego. The mission of the Foundation is to honor John G. Watson’s memory and life through continued support of entrepreneurism in the San Diego region. The John G. Watson Foundation works to carry on his legacy and dedication to innovation by backing a variety of entrepreneurial businesses, individuals, as well as events and activities in the area. The John G. Watson Foundation is a non-profit entity, with all monetary support received assigned directly towards continued funding of new and existing entrepreneurial initiatives.